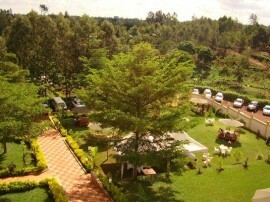 Country View hotel is located in Embu in Mutunduri on the Embu-Meru Highway. The locality of the hotel gives it a warm and calm atmosphere to spend time away from home. At Country View Hotel they have stunning rooms that range from deluxe, executive and standards. 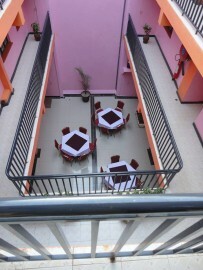 All the rooms have the following features; flat screen TVs, internet, wardrobes, Ensuite washrooms and they are spacious. They facilitate and offer services for weddings, corporate gatherings and meetings as well as launches. They have state of the art equipments that enable the functions to be a success and memorable.